If you’re a celebrity, it’s not surprising that you can get pretty used to things going your way. So, if you’re not happy with the way your favorite sports team is performing this season, the most obvious thing you can do is just to buy it! It might sound crazy, but more celebrities than ever before are buying shares in top NBA and NFL teams. Some are actors, some are musicians and some are even sports stars in their own right. However, they all have one thing in common – they all love nothing more than cheering on their very own team! Here are 10 of the top celebrities who own sports teams. 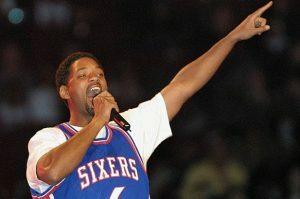 Will Smith has never made a secret of his passion for basketball and his strong allegiance with Philadelphia, so it comes as no surprise that he brought his two favorite things together by buying a stake in the Philadelphia 76ers with his wife, Jada Pinkett-Smith, in 2011. The couple was even the focus on a 2016 April Fool’s Day prank that spread the rumor they had bought a majority share in the team. While this turned out to not be true, the Hollywood pair still owns a minority share and Will recently appeared in a promotional video for the team. Before she split with her ex-husband Marc Anthony, the hottest couple in Miami made the decision to collaborate on the sports field, as well as on stage. They each bought a share in the NFL’s Dolphins. Both of them still own their shares even though they aren’t together anymore. They aren’t the only celebrities to have cashed in on the Miami Dolphins, however. They are joined by tennis-playing sisters, Serena and Venus Williams, and Grammy winner Gloria Estefan. Although late-night TV host Jay Leno might be best known for his passion for cars, it is actually his talk show rival who owns a racing team. 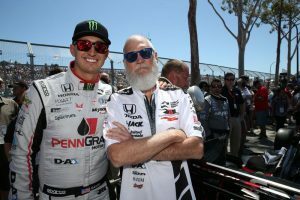 David Letterman has owned part of Rahal Letterman Lanigan Racing since the late 1990s after meeting Bobby Rahal, the Indy 500 champ, in 1986 when he interviewed him on his show. After the pair became friends, they decided to set up their own race team. Letterman rarely misses one of the races. Some celebrities prefer to look outside the United States for their sports team investments. Kiwi Russell Crowe, who has lived most of his life in Australia, bought a share in the Australian rugby team South Sydney Rabbitohs. 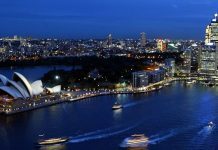 Widely regarded at one point as the nation’s worst rugby team, Crowe’s investment, together with that of his friend, billionaire James Packer, has taken the team to new heights. Between the two men, they own a three-quarter stake in the team and the value of the club has soared in recent years. Hollywood actor and well-known funnyman Will Ferrell is just one celebrity who owns a share in the Los Angeles Football Club. 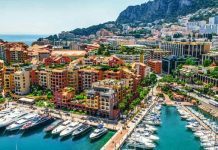 He is one of many owners, and other famous names on the team’s list of owners include Mia Hamm-Garciaparra, Olympic gold medal winner and one of the best-known names in women’s soccer; NBA legend Magic Johnson; and Tony Robbins, well-known author and life strategist. Justin Timberlake was born in Memphis, so it probably comes as no surprise that he owns a minority share in the Memphis Grizzlies and has done so since 2012. Since then, he’s played a key role in encouraging some of the team’s best stars to join the ranks, including small forward Chandler Parsons. 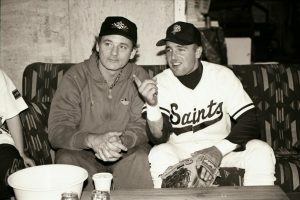 Although Bill Murray has always been a fan of the Chicago Cubs, he owns a minority stake in a completely different team, the St. Paul Saints. Unlike most other celebrity owners who are simply silent partners, Murray takes his role a lot more seriously. Rather than simply sitting and watching the action take place from the owner’s box, he has performed many tasks for his team in the last few years, from coaching first base to selling programs. He even made a web miniseries based on his love of baseball in the minor leagues. 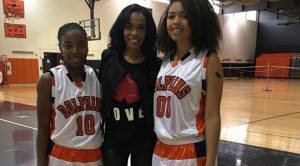 Best known for her former singing career as part of girl band Destiny’s Child, along with Beyonce, Michelle Williams bought a stake in the WNBA team Chicago Sky in 2006. Another part-owner is Matthew Knowles, Beyonce’s dad and her former manager from her Destiny’s Child days. Since then, she has appeared at a number of games and has sung the national anthem for them on occasion. Comedian Bill Maher, best known for his satirical and political stand-up comedy, is another celebrity who owns a minority share in a sports team. 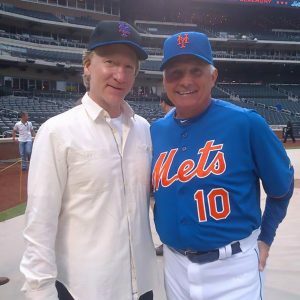 Having bought a stake in the New York Mets in 2012, Maher revealed that he had been a Mets fan all his life and made the investment after reading about the opportunity in a newspaper. He seems pretty happy with his purchase since he has been quoted in recent years as saying that it was the best investment in the world. Back in 2006, NBA star Michael Jordan bought his minority stake in the team that was then known as the Charlotte Bobcats. In 2010, he upped the stakes to a majority before changing the team’s name in 2013 to the Charlotte Hornets after the original team named the Hornets took the name Pelicans instead. 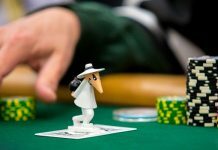 Allegedly, he has quadrupled his investment since taking the majority share and he now holds the role of the team’s chairman. These are just 10 of the celebrities who have made investments in sports teams. However, there have been made more, both past and present, who have taken their love of sports to the next level. No doubt there will be many more celebrities in the future who decide to take the plunge and support their favorite teams not only through their attendance but through their financial contributions a well.